Gather your friends and BYOB for a wine and paint party steps from home. 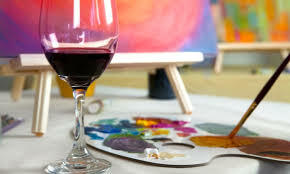 We’ll supply the studio, canvas, paints, brushes and stemware. Even if you’ve never painted before, this is the perfect, relaxed atmosphere to try your hand. No pressure. All fun. Each month will have uniquely themed project. The instructor will guide you through the materials and techniques. By the end of the night, you’ll have a masterpiece to take home. Join us Friday November 9 from 7 – 9 pm. Click here to register.